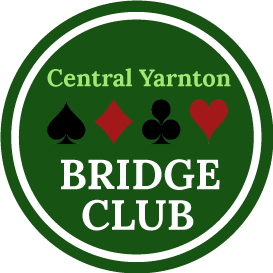 Central Yarnton Bridge Club have another website: It can be found here. We have skilled practice teachers who will explain the process in a way that enables you to understand the game and who can answer any questions that you may have. You will learn mostly from playing the game; being given small amounts of theory and having the opportunity to put learning into practice at a pace that you’re comfortable with. You don’t need a partner to join in and play the game. We are a friendly club based at Yarnton Village Hall. We have members from all over the Oxfordshire region and always welcome new faces! If you are interested in joining, please get in touch and we look forward to welcoming you soon.